Home / Case Results / New York Bicycle Accident Lawyer Review: J.B.
New York Bicycle Accident Lawyer Review: J.B. Pain, tenderness, spasm and restricted range of motion of the right hand. For about four months after the accident, J.B. was completely disabled from the use of his right hand. 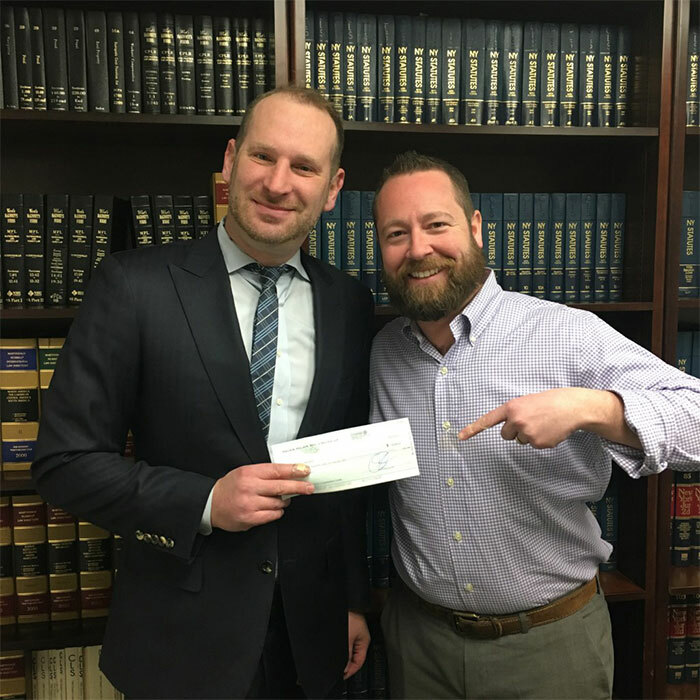 Our team made sure J.B. received the best medical attention for his injuries during that time, while we worked on resolving his legal matter with the Defendants. Sounds like an open-and-shut case, right? Not entirely. The insurance company for the taxi refused to pay the maximum insurance limits of $100,000.00. In response, The Case Handler filed a motion for summary judgment on the issue of liability to prove that the Defendants were 100% at fault. In opposition, the Defendants argued that J.B.’s inability to determine his speed while riding the bicycle created an issue of fact, which warrants denial of the motion. To put it plainly, the Defendants were trying to blame J.B. for the extent of his injuries since he could have been possibly riding his bicycle too fast. To be granted summary judgment, our team had to thoroughly prove that the Defendant’s negligence was a significant cause of the accident that resulted in J.B.’s injury. However, if the Defendant can provide admissible evidence that J.B. was negligent (whether in his speed or any other way), the motion would have been denied. Based on the evidence The Case Handler team submitted, the Court found that the Defendants’ allegation was insufficient and our motion was granted! Checkmate! The Defendants had no case against J.B. and forced their hand to pay the maximum $100,000.00! Whether your case seems simple or complex, the insurance companies will resist with full force every time. Imagine what would have happened if J.B.’s lawyer did not build a solid case to be granted summary judgment, or worse, not even file to expedite his case? All lawyers are NOT created equal. With only one shot of pursuing a legal claim, make sure to do it right the first time! Contact a trusted New York bicycle accident lawyer for a case evaluation. Call The Case Handler team at 929-223-4195.